I didn’t take a note at the time, and it’s taken a long time to get around to writing this up – mostly because this was a “quite” wine. Quite concentrated, but less than expected. 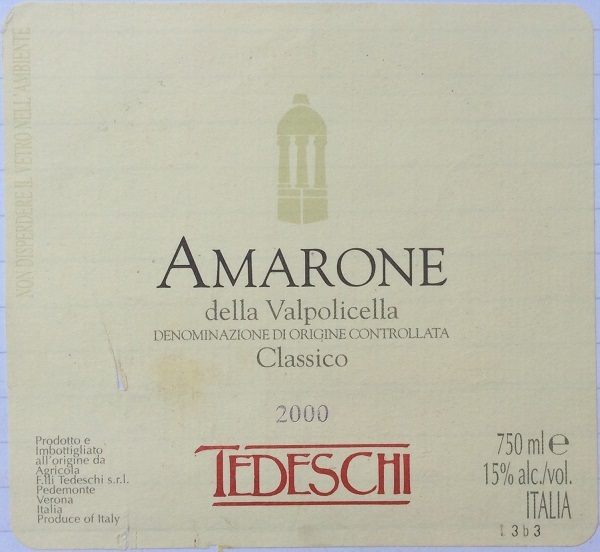 Quite complex but not as much as it should have been, given that it’s an Amarone from a good vintage. I was hoping for more from Tedeschi, as I’ve always held Allegrini in high regard, and had heard that Tedeschi were good too. Only “quite good”, however.